Brentwood Town gained their first win in five league games after a comfortable 2-0 away victory over bottom of the table VCD Athletic. Two second half goals sealed the three points for Brentwood, Sam Lechmere with the opener shortly after the break with a powerful strike. Defender Ryan O’Rawe extended Brentwood’s advantage with a header from a set piece. Dean Holdsworth made three changes to his lineup that won 2-0 at home to Aylesbury in the FA Trophy Replay on Tuesday. Liam Hope moves to the bench as Shad Ngandu returns from injury, Jamie Guy is preferred to Laurence Vaughan and Sam Lechmere is in place of Tom Richardson. VCD nearly opened the scoring six minutes in as Nigel Neita’s cross was met by Donovan Simmonds but his header went just wide. Brentwood struggled to turn possession into chances, but a free-kick from Mitch Hahn was whipped in and headed goalwards by Ryan O’Rawe but was comfortably saved by Ashley Probets. Mark Nwokeji for ‘The Vickers’ has a shot on the edge of the box, which was straight at Guest. In the second half, Hahn went for glory from just inside the VCD half and looked to be heading wide but swerved back and come back off the far post. Hahn shortly after had another vicious shot from a tight angle which was parried by Probets. Brentwood broke the deadlock 52 minutes in, as a long throw by Hahn was not cleared by VCD and came to the edge of the box for Lechmere to fire his shot in – giving the keeper no chance. ‘The Blues’ doubled their lead as Andy Freeman’s corner was whipped into the danger area, which O’Rawe met at the far post to head past Probets. VCD made a change in keepers, as Probets moved into outfield and Rob Budd was introduced in goal in place of Richie Graham. The home side nearly got back into the match, as Davidson Tejaiye had a shot from the edge of the box but was parried away by Guest. Brentwood almost got a third, as Hahn’s low ball across the box came to substitute Jordan Holdsworth at the far post but the defender did enough to force his shot wide and held on for the vital win. 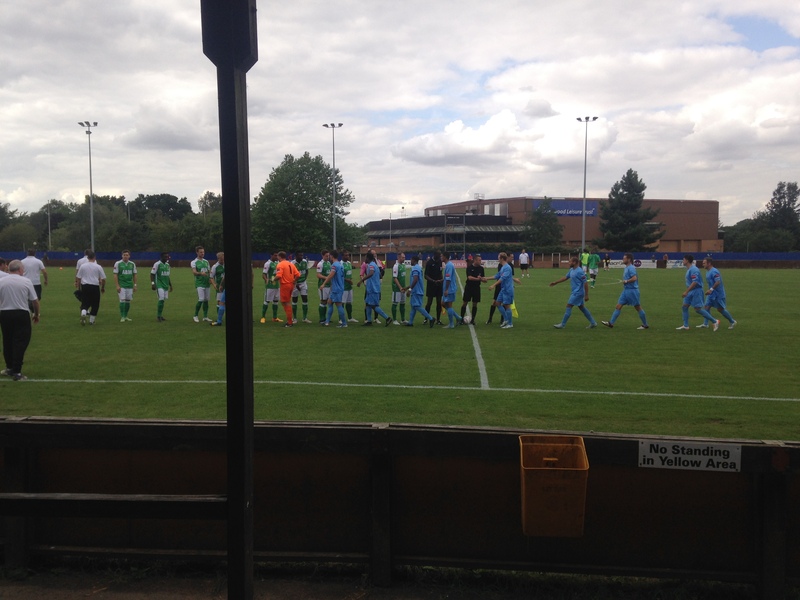 This entry was posted in Football, Sport and tagged Brentwood, Brentwood Town, Dean Holdsworth, Ryman League, Ryman League Premier, VCD Athletic, VCD Athletic vs Brentwood Town.